3. Blues – Perionyx Excavatus/Spenceralia sp. 4. Gardeners Friend or Cod Worms – Amynthus Sp. We are the only worm farm in Australia that includes Gardeners Friend Worms and Night Crawlers in its compost worm mix. The reason that we use up to 5 species of worms in our compost worms mix is because some species do better in warmer weather, whilst other species do best in colder weather. By combining all of these species your worm farm will work more consistently throughout the different seasons of the year and be overall a more robust worm farm. Strength in nature comes from diversity, so the more diverse your worm species, the stronger overall it will be. These 2 worm species are the most commonly used worms for composting in the world. They are generally good at all aspects of vermiculture. They breed quickly (1 worm will produce 9 worms per week under ideal conditions), they eat virtually all dead organic matter that they can fit in their mouths, they make reasonable fishing bait and they survive well under both hot and cold conditions, although the tigers and reds will slow their breeding in bedding temperatures over 25 degrees C.
These are the ideal allrounder worms. On the downside, they don’t grow much over 50mm long. Also known as Spenceralia, an Australian native, this worm species is the fastest breeding worm in general composting use (1 worm will produce 18 worms per week under ideal conditions). This worm also eats faster than any other worm we have come across. If you want to convert organic waste into worm compost in as short a time as possible, then you can’t beat this worm. We call this worm the Ferrari, it does everything fast. On the downside, this worm prefers warmer climates and is likely to crawl from its bedding if conditions are not right for it. Usual mature length is around 50mm. The Gardeners Friend or Cod worms are a large grey earthworm and are by far the best soil-structure builders we have ever seen. This worm is a true earthworm and we believe it to be an Australian native. It prefers to live in soil rather than compost. (Pictured on the right, a couple of Gardeners Friend or Cod worms). We have been extremely impressed with the ability of this worm to build wonderful soil structure creating a truly aggregated soil. These worms appear to prefer to eat the worm cast produced by the compost worms. They then take this worm cast and deposit it along the tunnels that they make, deeper within the soil profile. The soil they build is like swiss cheese. Full of well-defined tunnels zig-zagging underground, lined with nutrient rich worm cast. These tunnels are the ideal pathways for plant roots to follow as well as allowing water to percolate through, allowing for thorough wetting of the soil profile. The Gardeners Friend or Cod worms are probably also the best fishing worm in Australia being extremely lively and very tough on the hook. On the downside these worms are slow to multiply and are difficult to breed in captivity. These worms are new to commercial production in Australia with Kookaburra Worm Farms. These worms have an enviable reputation throughout Europe and the America’s as being one of the finest fishing bait worms available. Don’t be fooled by their medium size or their stripy red colouring. These are definitely not overgrown Tigers. They are scientifically called the Eisenia Hortensis or Dendrobaena Veneta worm. We have done extensive fishing trials with these worms and have consistently caught far greater numbers and varieties of fish. One controlled trial showed that African Night Crawlers caught 2 fish, Cod worms caught 6 fish and the Catchalls caught 36 fish, using 2 identically rigged rods, fished in the same spot over the same period of time. They work equally well in brackish and freshwater. Typical species caught with these worms include Bream, Whiting, Flathead, Estuary Cod, Javelin Fish, Trout, Murray Cod, Yellow Belly, Silver Perch, Australian Bass, Catfish, Carp etc. For small scale domestic worm farms like the “Reln Worm Cafe”, “Can-O-Worms”, “Tumbleweed Worm Farm” or the “VermiHut”, we recommend initial stocking rates of 1000 worms per household member. So, if you have 4 members in your household, your worm farm would work best with 4000 worms. Stocking with smaller numbers of compost worms will still be ok, but it will take longer for your worm farm to start recycling your organic waste efficiently. 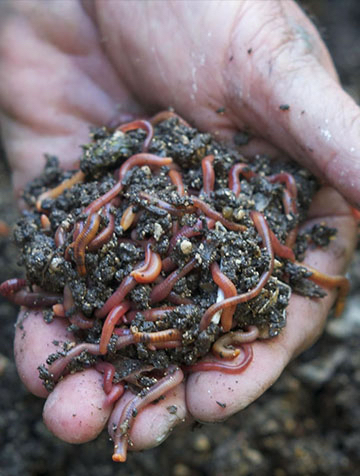 We breed and supply our compost worm products as a MIX of compost worms, containing up to 5 species of worm. This mix is naturally subject to some seasonal variation. Our compost worm products are suitable for a variety of applications, and are suitable for a variety of climates. 2. 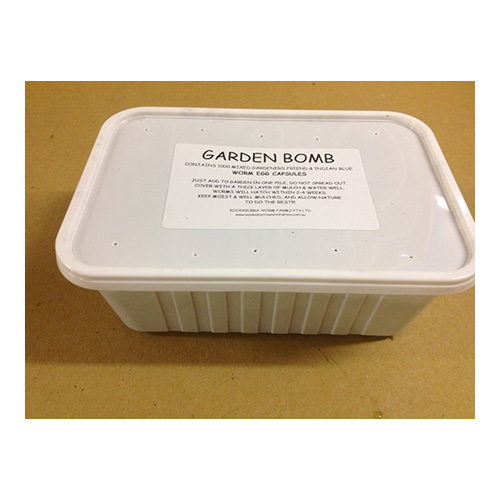 The “Compost Worm Bombs” which are a budget pack containing worm eggs only. We now sell our Bags of Worms (live worms) in packs of 1000, 2000 and 4000 worms. We also supply a “Helpful Hints for Keeping Compost Worms” information sheet with every order. All of our worms are sustainably bred utilising waste product from the sugar industry as a food source. Our worms are bred in a climate controlled environment, enabling us to produce worms all year round. 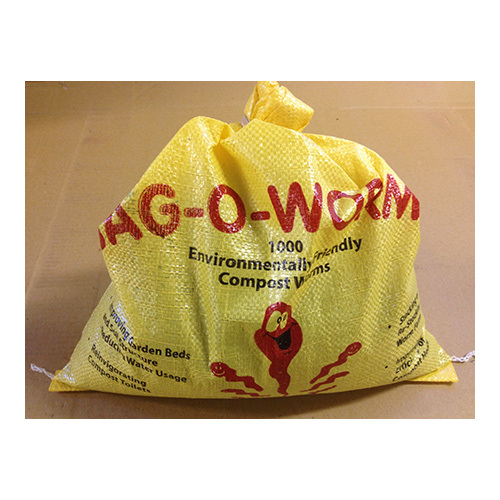 Live Compost Worms are packaged in poly woven bags with a special bedding material. The bags are packed into cardboard boxes and sent via Australia Post regular mail. 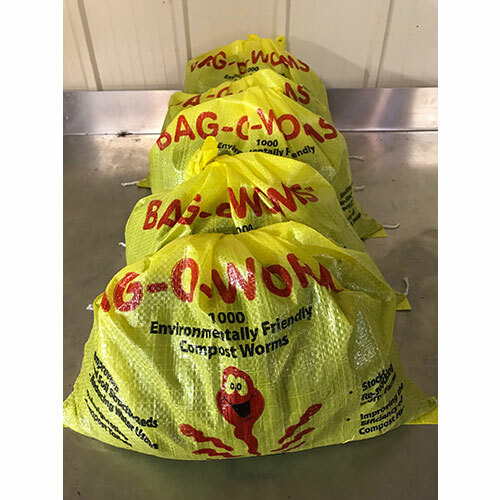 Bag O Worms – The Bag O Worms has been designed to complement the Can O Worms worm farms and all other worm farm brands. They contain 1000 of our best variety of compost worms. 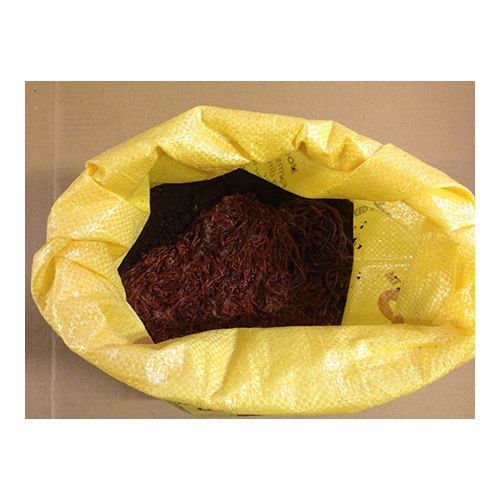 This product consists of 5 woven poly bags with 1000 compost worms in each. The bags have full printed instructions on the back and a shelf life of up to 6 weeks (longer with some simple maintenance). The Bag O Worms have been specifically designed for the retail shop. They look good, have a comparatively long shelf life and are very convenient for your customer. Our research has shown that you can sell up to 5 times as many worm farms if you have the complete package of a worm farm PLUS the worms. This is an exclusive product to Kookaburra Worm Farms as we know of no other worm farm in the world that has these egg capsules for sale. The Gardeners Friend worms are the BEST worms for your garden, orchard or farm. They are true earthworms (as opposed to compost worms). They will acclimatise to almost any conditions. These egg capsules are the perfect way to inoculate your garden, orchard or farm with these fantastic soil structure building worms. We have found that adding live worms to a different environment to which they are used to leads to very high mortality rates. We have overcome this problem by using worm egg capsules instead. When the worms hatch out of their egg capsules, they are immediately acclimatised to their new environment and we have been able to achieve very high survival success rates. These egg capsules are surprisingly small for such a large worm (which is why we can’t get a photo of them). We mix these 2 species of Australian native worm eggs to achieve a synergistic effect in your garden soil. The Indian Blues eat and live in the surface layer mulch and quickly make great worm cast. The Gardeners Friends then eat the Indian Blue’s worm cast and take it deep down into the soil profile to create highly structured fertile soil. These worms will also attract other native earthworms to your garden acting as a kind of earthworm magnet. We collect these egg capsules fresh each week. They are mixed with coarse worm casts and have been counted prior to shipment. Many people have been asking for a simpler more economical way to get worms into their gardens and to recycle their organic waste. Well here it is!!! Our Little Rotter garden bed worm farm is now available and is ideal for doggy poo and kitty litter!!! These little worm farms sit on top of the soil of your garden bed. You simply open the clip lock lid, drop your kitchen scraps or doggy doo in and close the lid. These worm farms have holes in the base to allow the worms to move to and from your garden bed soil. These are mini feeding stations for compost worms. The worms live in the ground and come up for a feed to recycle your kitchen and other organic waste. Firstly you dramatically increase the waste recycling capacity of your worms. The effective area of your worm farm now increases from the worm farm size to the actual size of your garden bed. The worms will breed up in numbers to fill the volume of the garden bed and the only restriction to their numbers will be the amount of scraps you feed to them (they can never overbreed as they have a natural mechanism to stop breeding when crowded). What this means is that you can recycle multiple times the amount of scraps over a conventional worm farm of a much larger size. Secondly you no longer need to have the extra work of removing the worm cast from your farm and manually incorporating it into your garden bed. The worms now do this work for you. The worms will come into the worm farm to eat the scraps, then they will leave the worm farm and spread their cast throughout the garden bed for you. All you have to do is keep feeding them the scraps. Thirdly you now have a worm farm that is buffered from the weather. If the sun is too strong and heats up the worm farm during the day, the worms will escape into the soil, but they will return as soon as the sun sets. If it is very cold at night, the worms will again escape the worm farm into the warmer soil and come back up for a feed when the sun comes out again. Don’t worry about the worms escaping into the soil and not returning. The worms will always return to a plentiful source of food, shelter and moisture. This little beauty has a flip-top lid that secures down tightly. It is small and affordable enough to place all over your garden. It comes complete with a “Compost Worm Bomb” (a Compost Worm Bomb contains Worm Eggs, which will hatch into a thousand compost worms). All you need to do, after setting up your Little Rotter worm farm, is keep the worms fed and moist. It will take about 10-12 weeks for your worm eggs to hatch and grow into mature, adult worms. Your worms will then get to work, improving your soil and turning your waste into fertile worm cast to keep your plants healthy and happy!! Each Little Rotter unit measures 220mm square x 310mm tall and will service an area of approx 10 square metres.